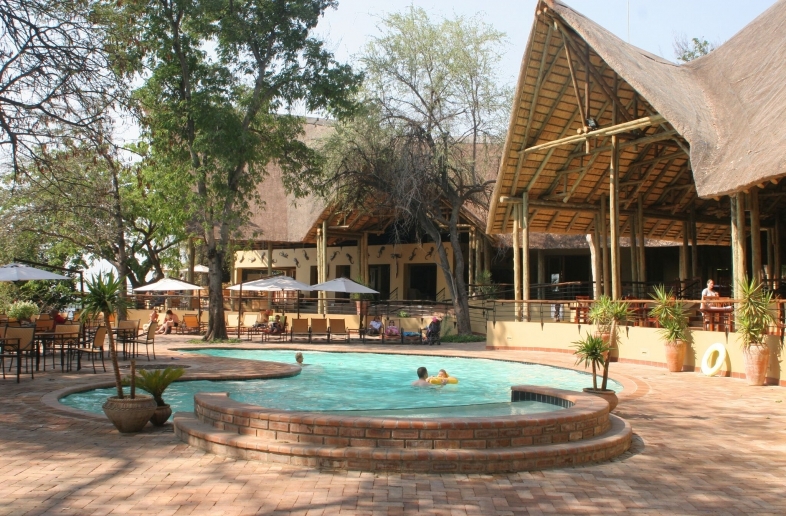 This tourist town provides perfect access to the North of the Chobe National Park. 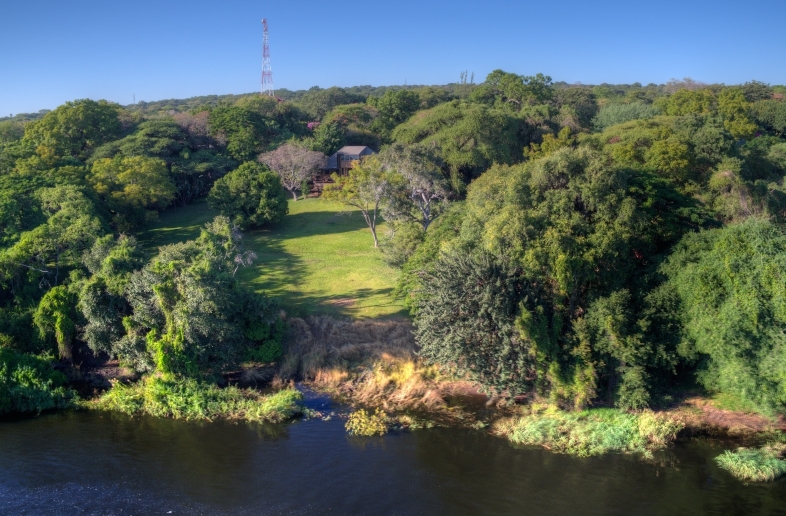 It is also known as the gateway to Chobe. Many travellers stop in Kasane first to do groceries and refuel before they continue on to the national parks. We recommend resupplying at one of the larger supermarkets. There are also various ATMs where you can get Botswana Pulas. 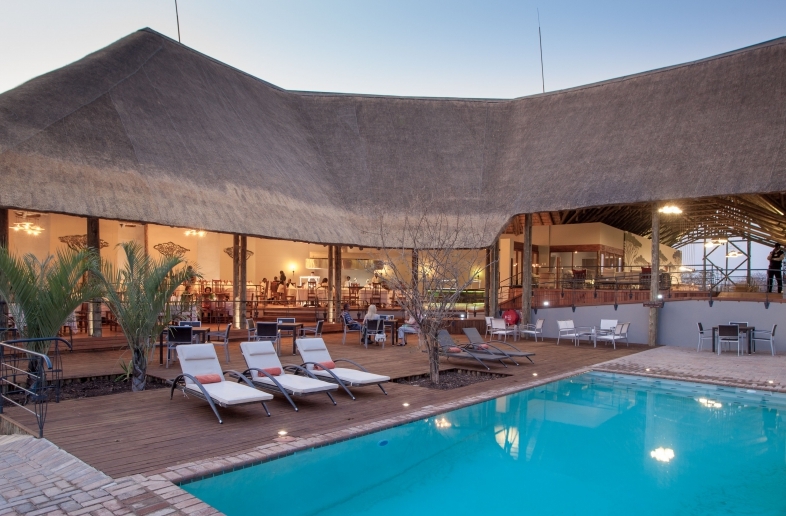 Due to its good location, Kasane is a convenient stopover when you want to travel on to the Victoria Falls. The town is close to where the four countries of Botswana, Namibia, Zimbabwe and Zambia meet. The Chobe and Zambezi River meet east of the town. 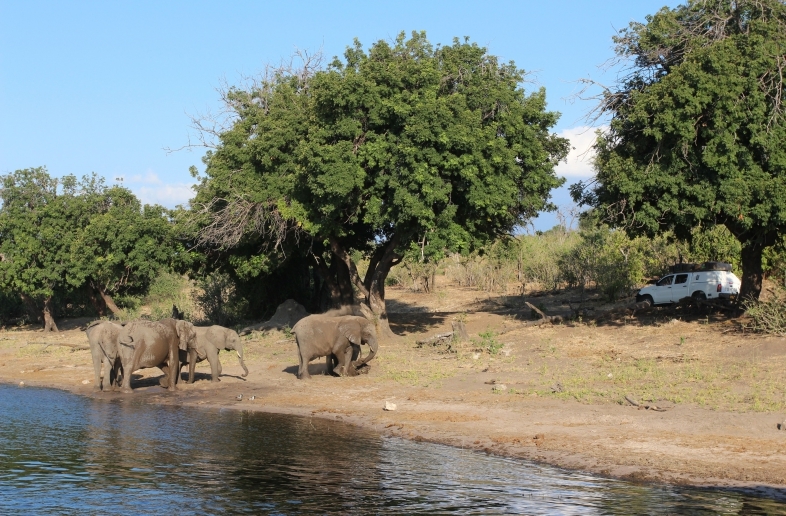 Every day, there are several boat safaris departing from Kasane, which are a great way to see groups of elephants, hippos in the water, and more. 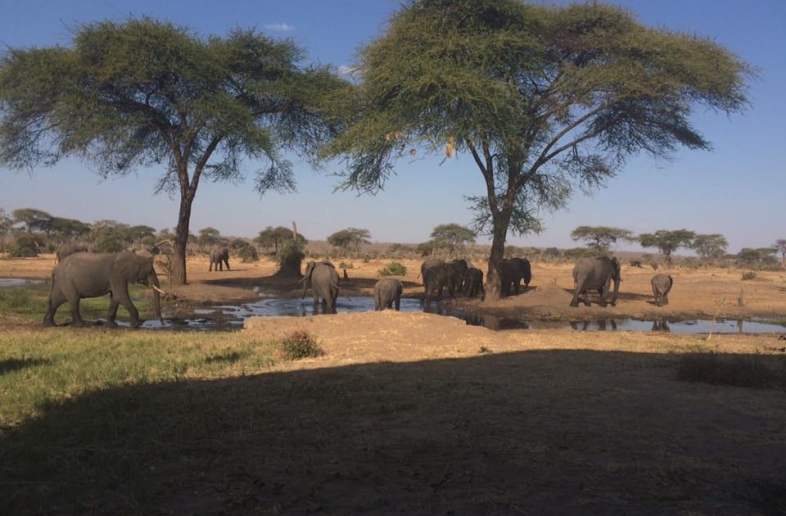 A real must and a good change from the regular Game drives.